Its April 4th and early in the season for me. I can only remember fishing earlier, when eager to start, I rushed to Brecon to fish opening day on the Usk (March 3rd), maybe twenty years ago. It has been sunny for some days and the forecast for this day was good, so freeing up time, I headed off in Tonka Too (cleaned, and fully loaded with all the tackle I should need for the ‘Campaign of 2011’) for Sussex. 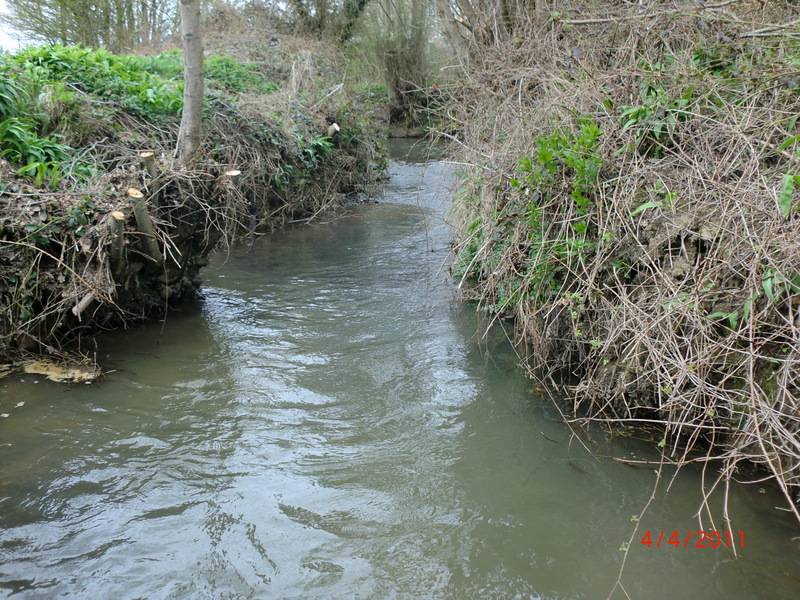 “I visited the Bateman beat today and fished downstream of the Dudwell Bridge in mid morning sunshine. Interesting and difficult…to be mountain goat-like would be an advantage, and I am not! Sunny to start with but getting windier and greyer, and casting a downstream nymph, I had nothing. Your Bailiff, Ben, and I had a chat and after, I went above the bridge and spooked a lone trout in the shallows. I cast, again, downstream nymphing, in a number of places, to no avail. Walking around the field on the (true) right bank, now and over the bridge and through the gate to the narrows, I spotted some bank work, which was a useful ‘clue’. Sliding into the water and casting upstream for the first time, I had a 5” fish which took the PTN on the point in a pocket etched out beside the roots on a bankside tree. Brilliant…a very early season visit, which repaid my endeavour with an East Sussex trout, and a new ‘County’ for my list. But….I will take advantage of my membership. 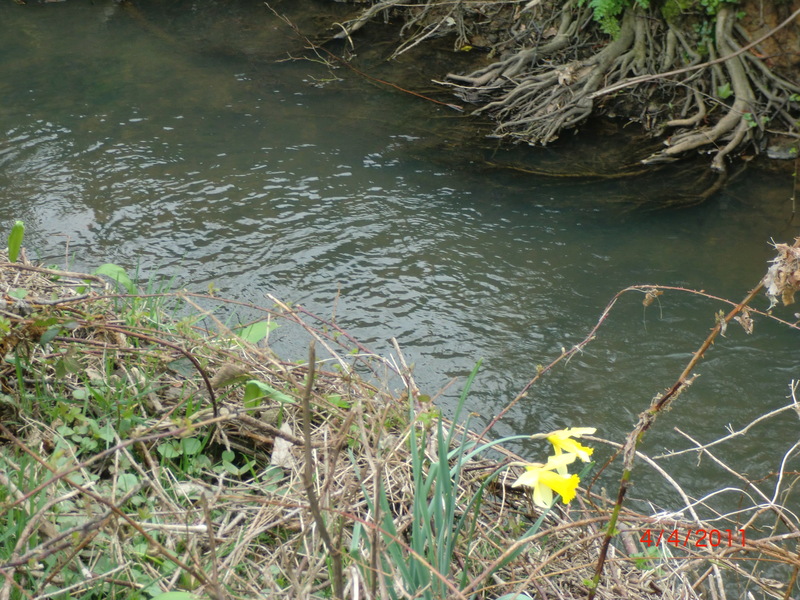 Yours is a tricky water, and I cannot imagine how hard it will be when the foliage is dense in the Summer! But I hope you will tell me that upwings are the norm and that dry fly can be productive in weeks to come! Just three hours of fishing….and it felt good to be back in the waders again, and enjoying a beautiful part of England in the colour of our Springtime. This is a story about fraternity and enthusiasm. East Sussex is much like its West(ern) cousin, and unlike its northern neighbour, Kent. 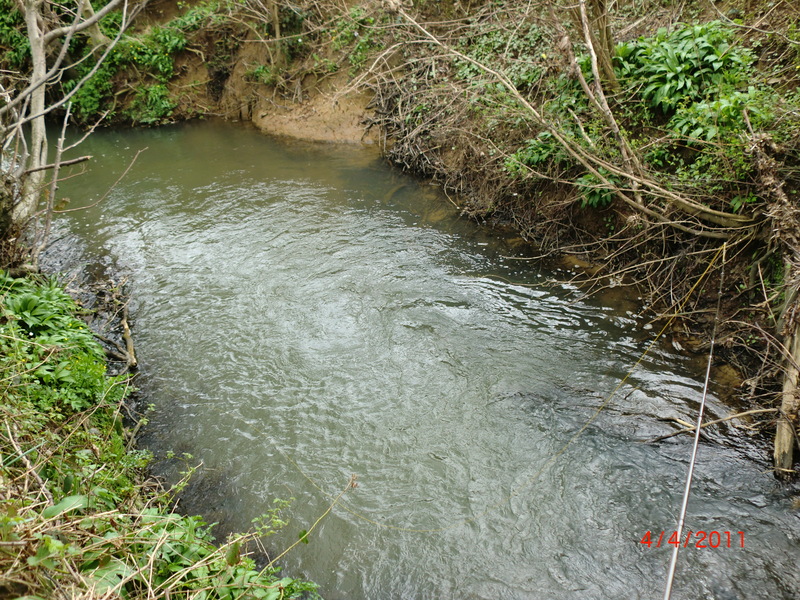 Streams are coarse fishing delights, but the character and weediness of downland chalk is absent, and the rivers are short and subject to tidal influence. 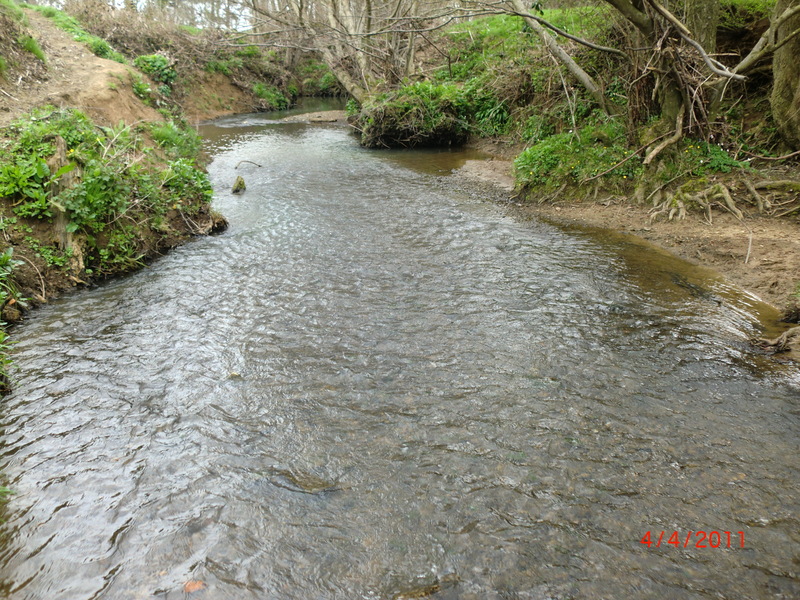 Sea trout run in some and in the upper reaches of a few there are browns, but they are as few as the reaches they exist in. The WTT and the STA sites offered no hope. On some other search, I discovered that the National Trust occupies watery space, some of which contain flowing water and trout, too. 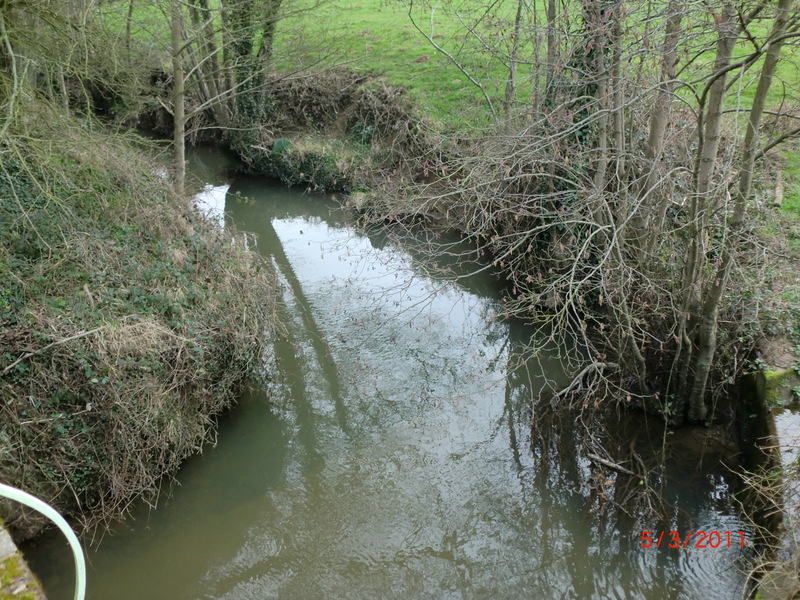 And in East Sussex, the Dudwell flows through a property called Bateman’s, a Jacobean mansion, once the home of Rudyard Kipling, and run by the NT, and the Burwash Fishing Club has the water either side of its boundaries. (It can also be found on the Go-Fish website). As it is a small club, membership opportunities are few, and day tickets are not offered…but I am on the waiting list! So good news. Other connections were made. To Lewes AC., and I found Mike Richardson of Southdown AC, and asked him for the name of his counterpart at Isfield & District AC., whose waters seemed more likely for my task. His counterpart’s (another Mike’s) response was helpful and indicated where there are trout in the Uck. Get in touch again next spring & I’ll try to point you in the right direction. 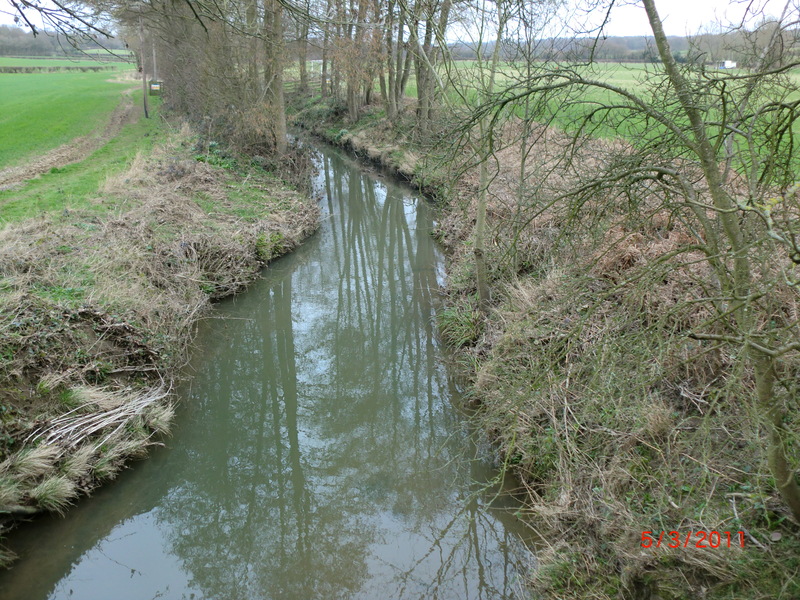 So now you know where I am…three streams where by the sound of it, with steeply sided banks and a fast overgrowth of vegetation, an early season visit is a must, plus the prospect of a variety of upwings coming off….who knows? Thank you to all the East Sussex enthusiasts who have shared, willingly, their knowledge and offered thoughts and time to help me. The Uck, the Cuckmere, the Dudwell…we will see!